Here’s how you can downgrade iOS 11.1 final version to iOS 11.0.3, iOS 11.0.2 or iOS 11.0.1 on iPhone, iPad or iPod. 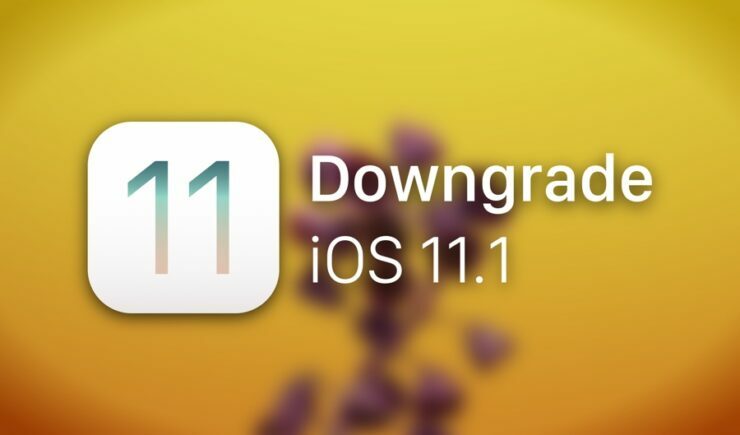 Downgrade iOS 11.1 Today if You Are Experiencing Issues or You Just Want to. iOS 11.1 is finally available for download and users around the world are slowly and gradually installing the update to see what it has to offer. But, the update might not sit well with everyone, especially those with older devices like the iPhone 5s or the iPhone 6. This means users might end up facing quite a bit of problems when it comes to performance. If that is the case with you, then you will be glad to learn that Apple is currently signing three firmware versions which you can downgrade to right away. But remember, this is possible for an extremely limited period of time only. If you have miss the downgrade window and Apple stops signing a particular firmware, then there’s nothing you can do in order to downgrade iOS 11.1. Important note: Since downgrading erases everything off a device therefore make a backup of everything using iCloud or iTunes. It’s very important that you do so otherwise you will lose all your important files and data. 1. Download the firmware file to which you wish to downgrade back to. 2. Assuming you have backed up everything, connect your device to your PC or Mac using a Lightning cable. 4. As soon as your device is detected, click on the little iPhone shaped icon on the top left hand corner of iTunes. 5. Now click on the Restore iPhone button while holding down the left Shift key (Windows) or the left Option key (Mac). 7. The firmware file will first be verified with Apple before it is restored onto your device. If you have selected a version of iOS that is currently not being signed by Apple then the entire process would simply fail and you have to start all over again. So please, be very careful before proceeding.